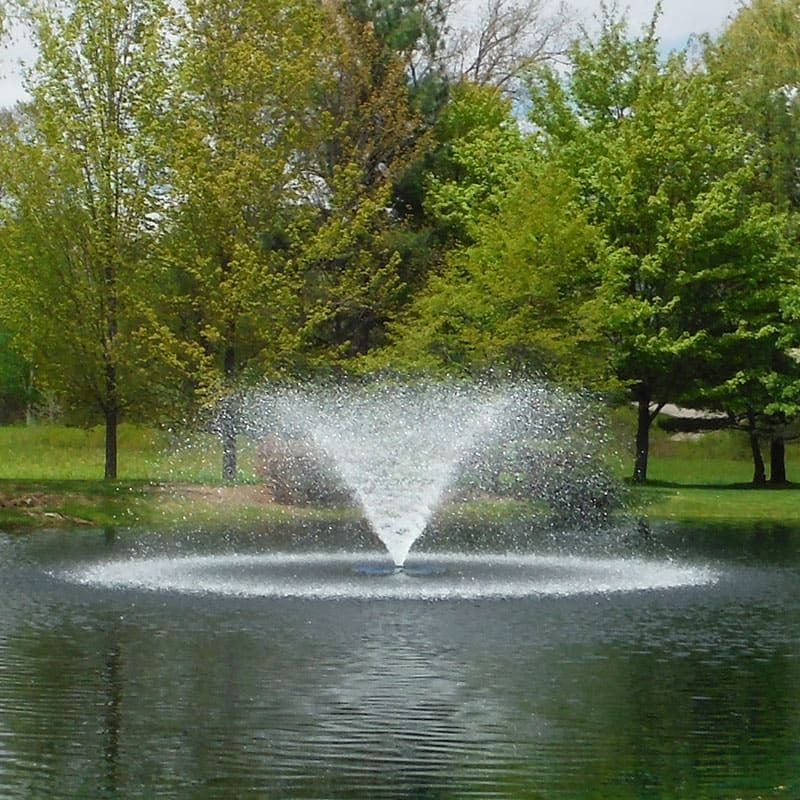 Ultra PondWeed Defense works on all pond weeds including submerged, floating and emergent weeds. Ultra PondWeed Defense may be used for short term control of duckweed and watermeal in slow moving water. Use all season long on actively growing weeds for best results. Watch the Ultra PondWeed Defense Product Video. Download the 32 ounce product label. Download the 128 ounce product label. Ultra PondWeed Defense should be applied to target weeds while they are active and growing. 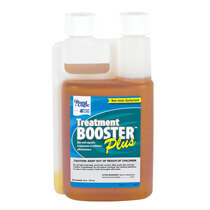 Use with Treatment Booster Plus for best results. 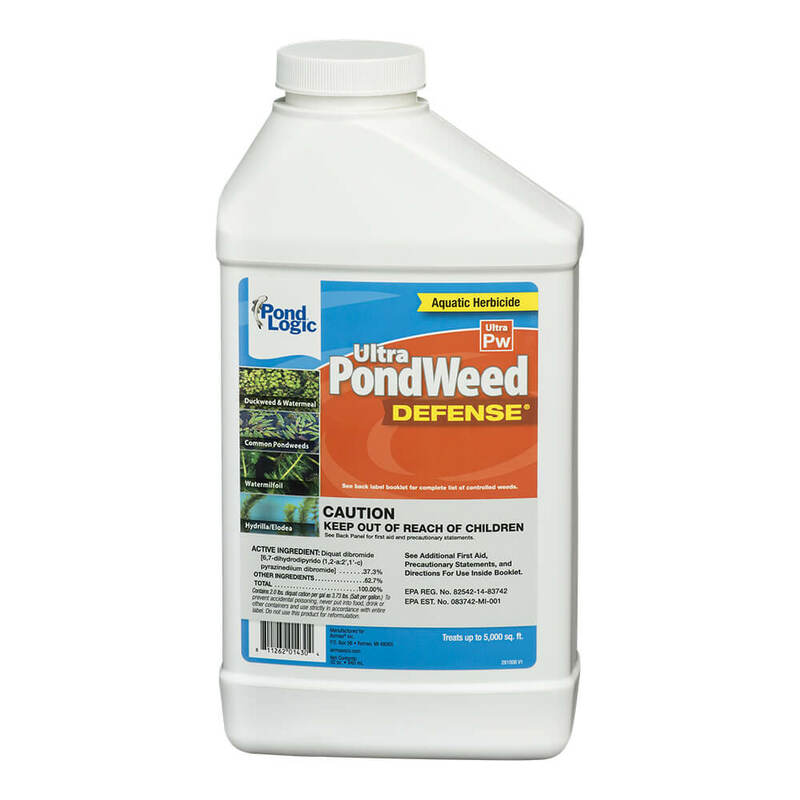 Mix the desired amount of Ultra PondWeed Defense and pond water in accordance to label directions. Using a pressurized sprayer, spray the Ultra PondWeed Defense mixture directly onto target weeds. Treated weeds will begin to brown and die. Once weeds are completely dead, cut and rake them away to prevent an accumulation of plant decay and pond muck. Ultra PondWeed Defense cannot be shipped to Alaska, Arizona, California, Connecticut, District of Columbia, Hawaii, Maine, New Jersey, New York, Puerto Rico, Rhode Island, Vermont, Washington or Canada.